We've set ourselves a very ambitious fundraising target of £153,000 for the 2015/16 season. This includes both the amazing individual efforts of our fundraisers whose events are listed below, and the contributions from our London to Paris Cycle Challenge, and the British 10K London Run, both next summer. Fundraisers please email us to add YOUR event here! Scroll down for Fundraising materials! Jon says, "Of course bike ride aside the best part is actually raising money for the Charities. With £1000 raised for my charity I am happy to be able to support STUBS who in turn support servicemen and women after the trauma of losing a limb.. 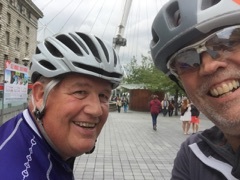 This journey came about after a friend of mine lost his lower leg and the support; help and encouragement means he has a full and active life and has never lost his sense of humour." Click here to read Jon's blog of the ride. 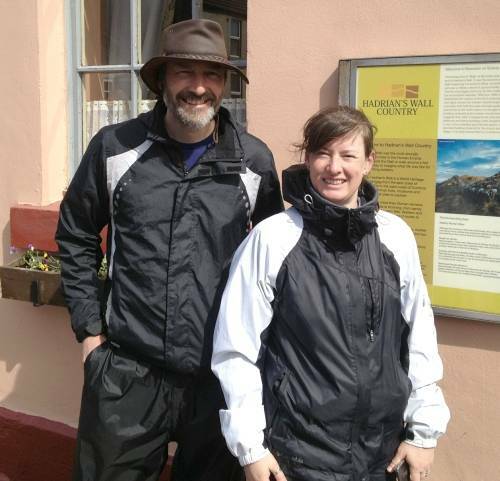 Julian says, "I have recently completed Hadrians Wall, a challenge to raise awareness and funds for STUBS. I completed the journey, which is 84 miles over 3 and a half days. The weather was appalling, which made it a little tricky and I think I would have completed it in under 3 days had the rain and wind, plus chill factor not been so brutal. I may try it again next summer, walking from the west to try and better the time." 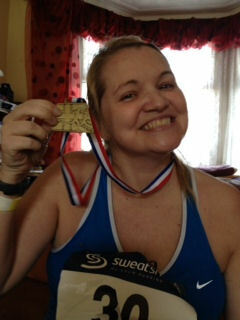 Congratulations to Debbie on completion of her first-ever half-marathon for STUBS. Debbie works for Barclays and we'd like to thank them too for their matched funding. Will your employer provide matched funding like Barclays and BUPA? Could YOU do a fundraiser for STUBS please? If so, please get in touch!! On a cold and cloudy Saturday in February this year Tanya Whittle, a Health Care Assistant at DMRC, Headley Court working on the Neuro Rehab Unit, decided to do something challenging to support the injured patients that she nurses. She says "I wanted to do something that took me out of my comfort zone and that was a way of raising money to support STUBS. 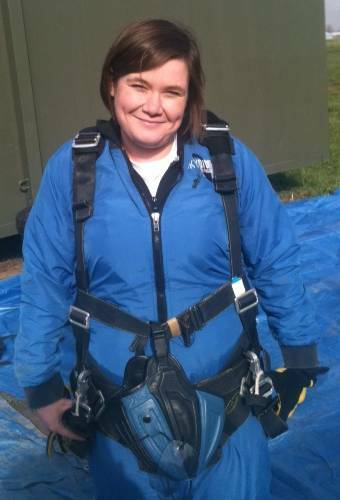 So I signed up with www.goskydive.com and set up a Just Giving page and managed to raise £705. I thoroughly enjoyed the experience and would recommend it to anybody thinking of doing something to support STUBS and our injured service personnel at Headley Court.". 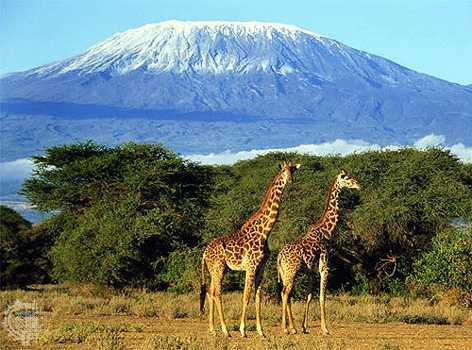 Sam Fountain and Jake Polmeer are taking the harder Machame route - some 62km over six days!! On the last day Jake will have to climb 5 km overnight in Artic conditions from Barafu Camp to Uhuru Peak in time for sunrise on the Roof Of Africa at 19,345ft, before dropping down a further 12km to the Mweka Hut. Jake says "I'm raising money for STUBS as I work at DMRC Headley Court, and every day I work with the injured soldiers. I see just how much STUBS trips and events mean to them, and how it helps their rehabilitation. It gives our boys some well-deserved recognition!!" Please give Jake your support. You can donate via Justgiving here! STUBS tee shirts are now available in a range of sizes from "S" to "3XL" at only £3.50 each. Minimum order quantity is 5 tee shirts - £20 including postage!! We can have special event tee shirts made up by our suppliers Workwear Express in about seven days. There are one off charges for artwork and print set-up, so the minimum sensible quantity is at least 50. We tend to order 250 at a time to keep the per item cost as low as possible. Tee shirts are in good quality cotton. The base white tee carries the Gildan logo. We have boxes of STUBS wristbands available for point of sale use in pubs, schools and clubs. Wristbands can be sold for a "suggested donation" of £2.00. Our wristband point of sale box has 80 wristbands in S, M and L sizes, and we can supply small leaflets to support your event. The box comes with a collection tin mounted on a chain to deter the "light-fingered". We have standard 6ft high popup roller banners available for loan, and can have special banners manufactured to support a fundraising event. We have large red collection buckets with sealable lids, and smaller black collection tins available for fundraisers to borrow for events.